Turtles swim the Mediterranean. Occasionally one needs assistance and the Oceanogràfic of Valencia is proving highly valuable to turtles in distress. 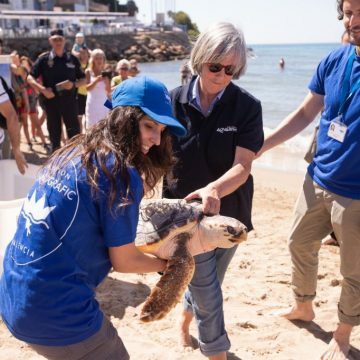 Their experts also cooperate effectively with other specialists from different conservation centres on both the Atlantic and Mediterranean shores.